Your signature is you in public’s perspective, while your main text is your personal inner character. Below is a real case situation on how important a signature means in your personality. Ask him about any general knowledge or discuss news in your conversation, expect that he will speak confidently about it. He will be able to argue the thoughts and ideas about your viewpoints. He could relate it to facts and others’ ideas with certainty and poise. Accompanied by his pleasant personality, you will feel comfortable whenever you are with him. 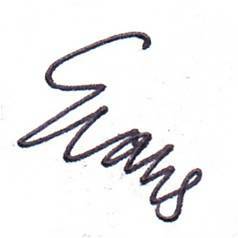 I had a glimpse of his handwriting a number of times to confirm whether my random observation is correct. Without doubt, his handwriting did reflect his strengths in analyzing situations and responding to his thoughts comprehensively in communication. As expected he has a moderate self-esteem as reflected in his handwriting. Everything him was fine until one day, a situation occurred that call for him to decide on how to handle his personal problems back at his hometown while continue acquiring the opportunities he had to pursue his career at the organization he is in. For three uncomfortable weeks back at his hometown, he could not come out with a decision whether he would like to pursue his career or stay back there. One day, he had finally returned back to the organization. Thinking that he had already decided, his employer had arranged for him to run a project. However, on that same day, right at the end of the day, he told his employer about the problem his encountered with his family. He seemed worried and full of uncertainties about his decision. After hours of meeting, his employer had finally decided for him instead. He was instructed with diplomacy to tender resignation and return to his hometown. On the day of signing the cessation of employment document, I took the opportunity to asked several questions that could lead me to an answer on my perspective of this individual. He seems to be different compared to who I had known initially. While I was thinking about it, I then noticed something. Something that did not crossed my mind initially. I saw this right away when he started to sign on the first doc. 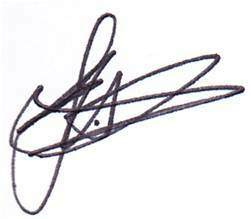 That was his signature. I was speechless. Yes, speechless. I looked at it again the second time he signed another document. I could not say a word. 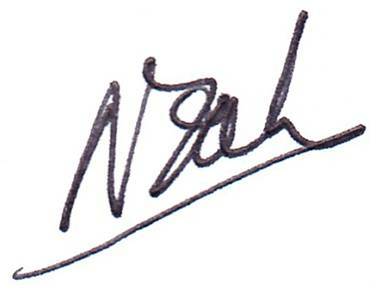 I remembered that my mind was just boggling through analyzing the whole situation that had happened, and the significance of his signature. 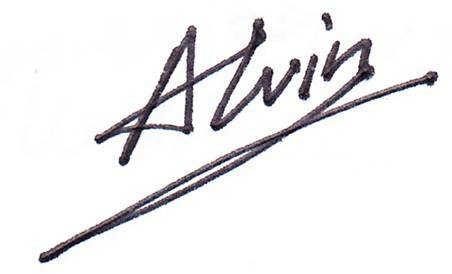 With a simple signature, he had ended the last letter striking backwards to the left instead of ending it which is supposed to be at the right. Simply, this signifies someone who mainly thinks and talks about his past and will tend to go backwards instead of moving forward. Normally, they will tend to talk about what happened to them in their past, their failures or experiences instead of highlighting or moving forward to change it. They dwell about their past. Apart from that they could even have feelings of guilty towards incidents that had happened before that they could not leave it. The signature also reminds me of a story that one had rejected a promotion because he thinks that his present effort is not yet worth the raise. I was thankful that I could share this recent incident to a group of participants for a graphology workshop which I was invited to present. They were stunned by the fact that signature itself played a vital role in one’s communication and perception towards themselves and life. Even though most of the participants had a signature that projects their optimism and confidence, I hope they could see this perspective as a sound case in point. So, do remember to check your signature right away. 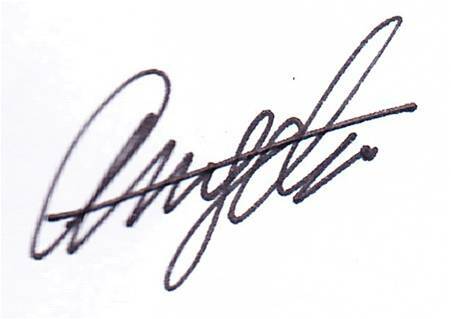 Just ensure that your signature is not having a falling baseline, strike-through, and the one as above case and few other undesirable signatures one should avoid. Graphotherapy will definitely helps. Sign with confidence and boldness. Your Signature is you in the public’s eye. It’s an awesome post for all the web viewers; they will take advantage from it I am sure.